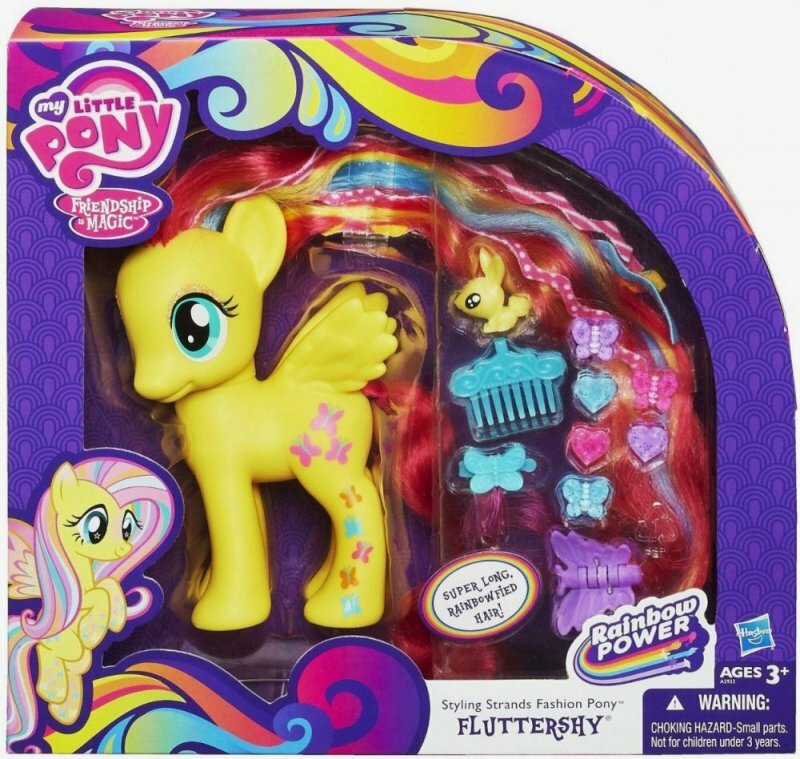 My Little Pony Rainbow Power brings a 5 inch Fluttershy with super long rainbowfied hair and styling accessories. 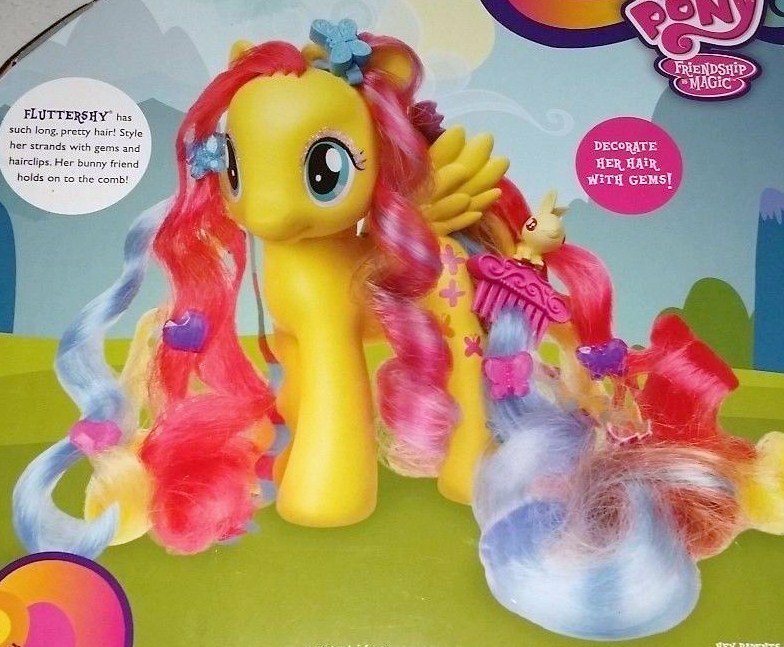 MLP Rainbow Power brings a 5 inch Fluttershy with super long rainbowfied hair and styling accessories. 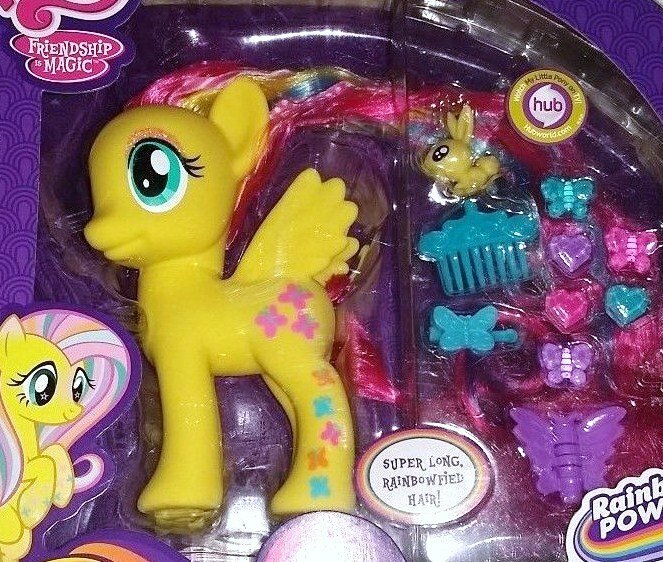 She comes with a comb, a bunny friend, a butterfly clip, and some hair gems. 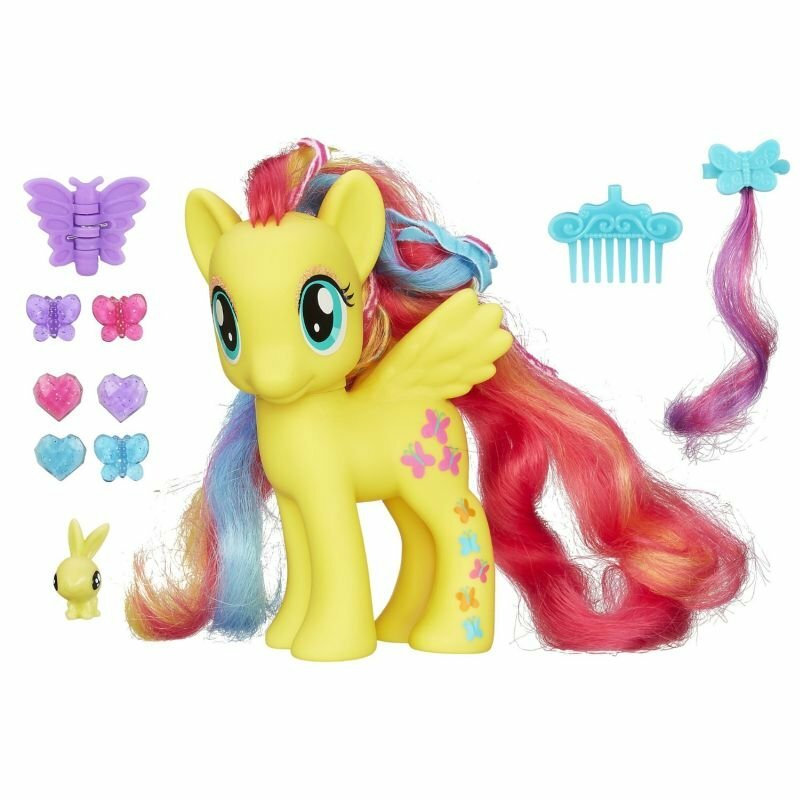 The Fluttershy figure has such long, flowing hair, and you're the only stylist to make her look her rainbowified best. Style her flowing locks with the included comb and hair clips with her bunny friend holds on to her comb so you can make her even prettier whenever you need to. USPS First Class -$5.50 to save on shipping costs, this item will ship in large padded envelope.